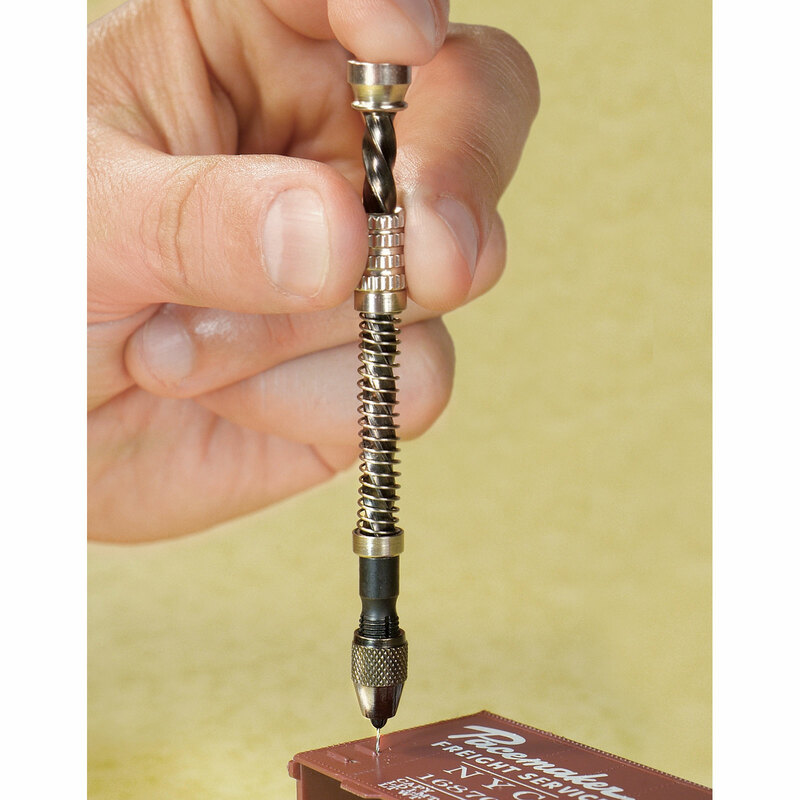 Our Micro-Drill is the pin vise with a difference. Knurled ring slides up and down the spiral brass handle, causing the drill bit to turn. Drill holes in wood, plastic and thin brass in half the time as an ordinary pin vise. Swivel head lets you exert downward pressure while drilling. Steel chuck holds bits from no. 61 through 80. A nicely made tool that's a worthwhile addition to any modeler's or miniaturist's workshop. 4 inches long overall. Just press down and it drills. Much sturdier than other types that I've bought elsewhere. Not much to say. Works and works reliably.